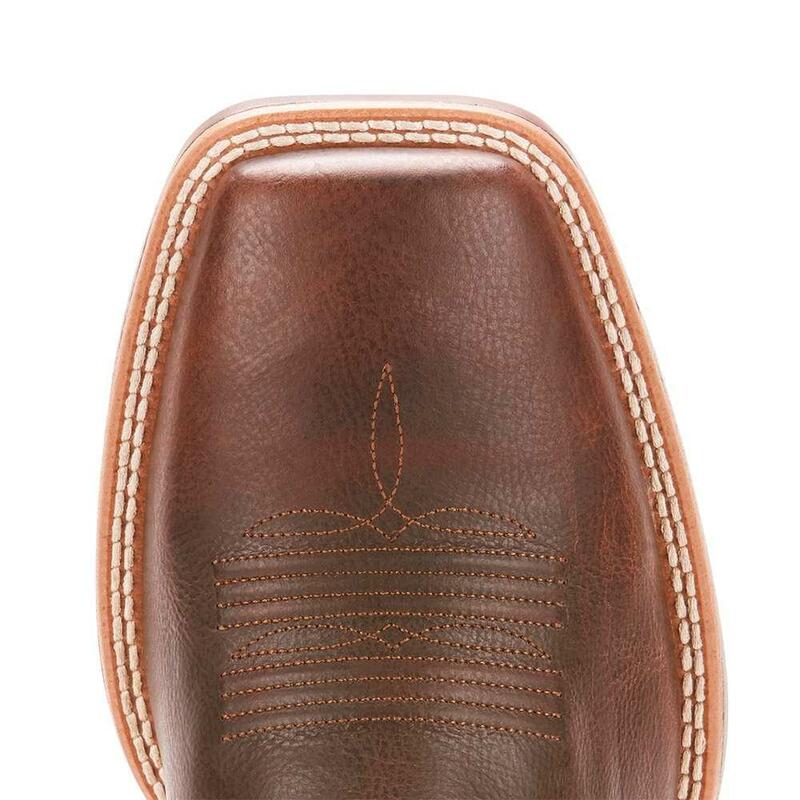 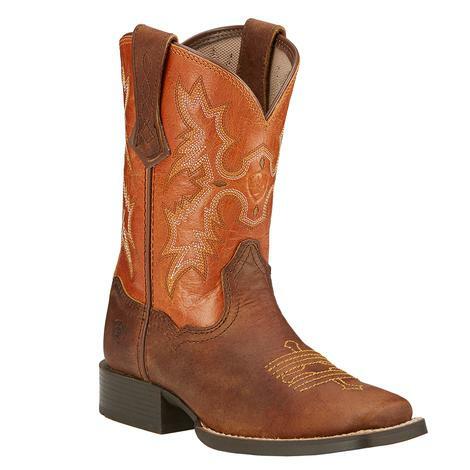 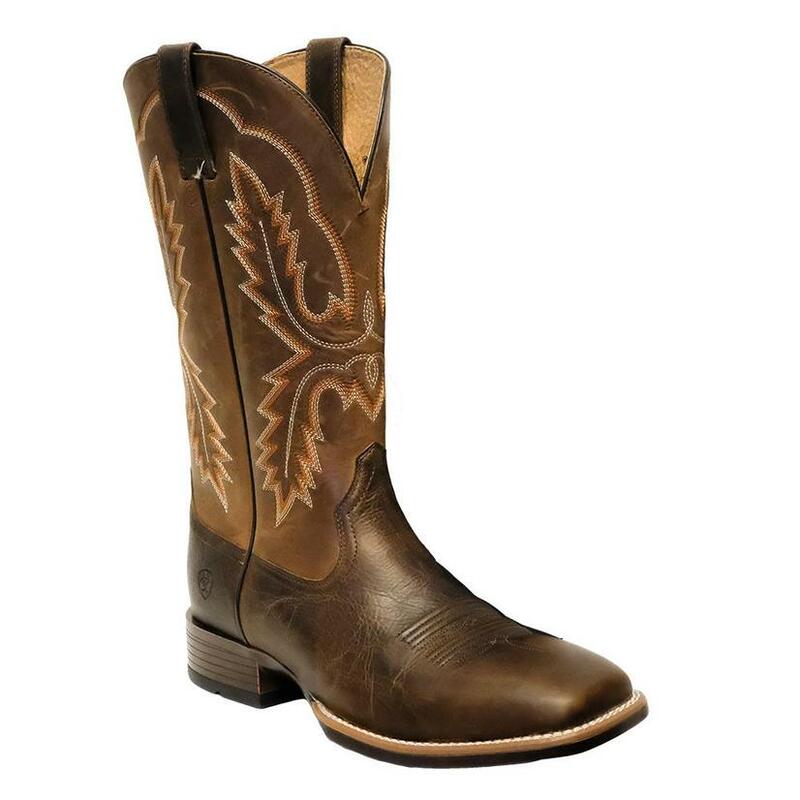 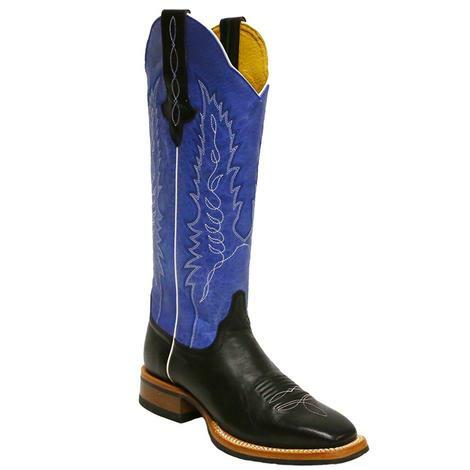 This boot by Ariat has a 13 inch brown western shaft with seven row stitch pattern and wicker brown vamp. 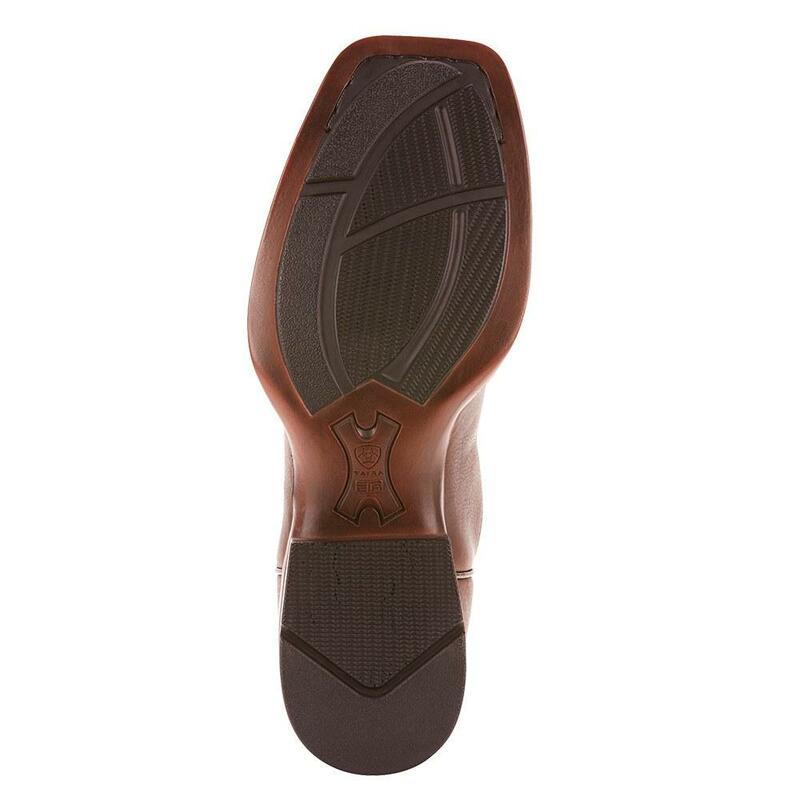 Sits atop a 1.5 inch horseman heel. 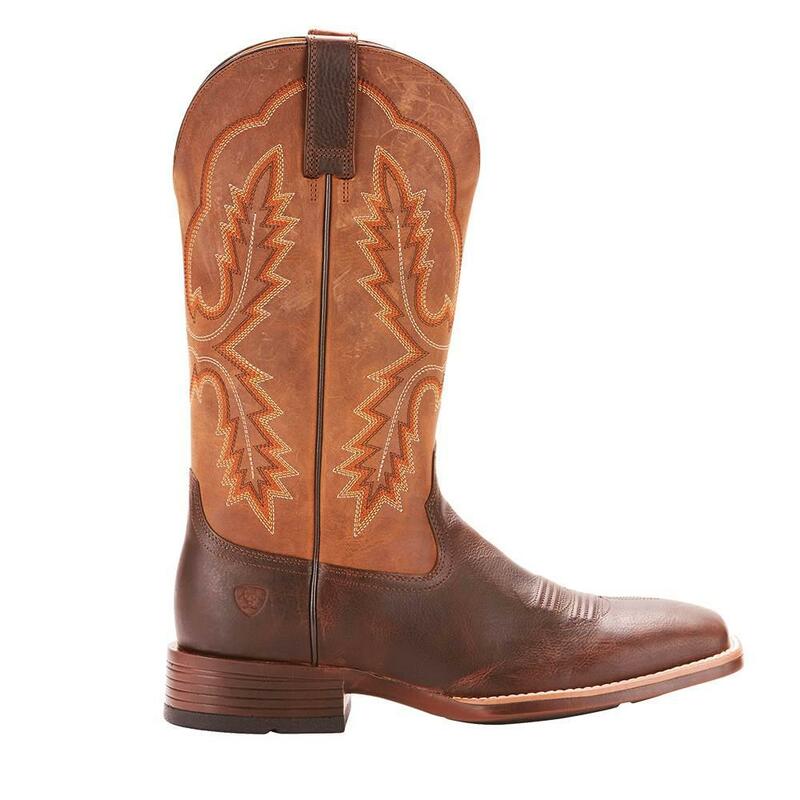 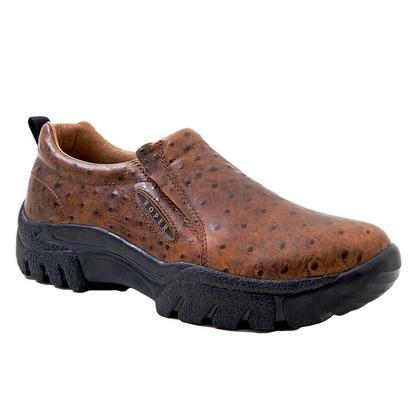 These are perfect for the ranch or the office.